Want to be a part of a Geelong First? 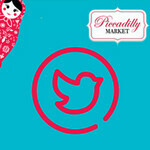 Introducing, the NEW Piccadilly Market. Bringing stylish and contemporary hand crafted home wares, clothing, jewellery, art works, culinary delights and more to an iconic location in Geelong. Located within the Deakin Waterfront University Contemporary Cafeteria Space with views across Geelong’s other iconic location Eastern Beach, the market will offer Geelong a new and first of its kind event to add to its community calendar. Run by successful Market Manager and local entrepreneur Janina Lear, who over the past 3 years has taken the Geelong Children & Baby Market to sold out successes repeatedly. The Piccadilly Market promises to offer traders an exciting new avenue to show their wares and talents to an ever growing community. A strong marketing and advertising campaign including print, PR and other tactical methods will support the event leading up to its initial opening day – Sunday 28th March 2010. These areas will be targeted within the campaign and are some of Victorias strongest population growth areas while also have the added bonus of strong tourism. All leading to high visitation to events, especially those held regularly. 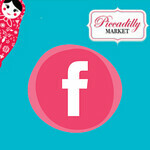 Piccadilly Market proposes to be held three times a year so long term participation and investment is guaranteed. How do you become a part of this exciting new Market? 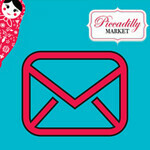 To be a vendor at Piccadilly Market Applications are being taken NOW and must be returned as stated within the attached application form by Friday 18th December.